An absolute gem, this album is from way back in 2015, and to only get to it now is a bit of a crime on my part. 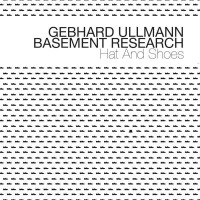 Gebhard Ullman, a woodwind player who splits his time between Berlin and New York, has had this project Basement Research since the early 90s. The group's most recent incarnation is saxophonist Julian Argüelles, trombonist Steve Swell, bassist Pascal Niggenkemper and drummer Gerald Cleaver. The songs are complex, but also whimsical, and straddle a line between free and composed. From the opener 'Trinidad Walks', which starts with an atmospheric drum passage leads into an upbeat looping melody played by both sax and trombone. 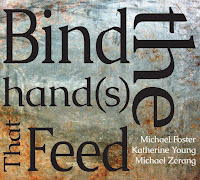 Tension is created by countermelody and percussive polyrhythms and leads finally to a well-defined section of free playing. 'Wo bitte geht's zu den Hackeschen Höfen' Picks up with a frantic melody that then intersperses extra-musical sounds with contrasting tempos. While I could go on, it may be best to simply say Hat and Shoes is a cohesive and brilliantly executed set from Ullman. Swell's thoughtful and joyful work on trombone (check out the intro to 'Flutist with Basement Research'), along with Niggenkemper's powerful bass lines and Cleaver's inventive drumming make this a truly enjoyable album. German woodwind player Rudi Mahall first came to my attention at a Globe Unity show in Potsdam, Germany a few years ago. Then, I was able to catch him playing with both Die Enttäuschung and Soko Steidle. In all settings his playing stands out - typically he's on bass clarinet and his playing is effusive, melodic and passionate. Following these groups led me to his excellent woodwind leaning group Fusk. 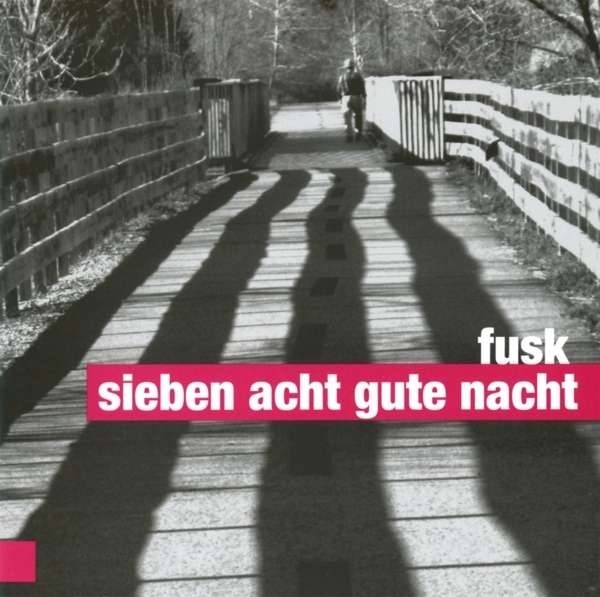 Fusk features bassist Andreas Lang, drummer Kasper Tom Christiansen, saxophonist Philipp Gropper, and Mahall. 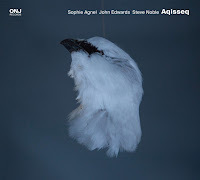 This recording on Fortune, Sieben Acht Gute Nacht (Seven Eight Good Night) follows two previous albums on the Why Play Jazz label and features versions of the charts that appear on those albums. But of course, at any given performance, a tune will change, often morphing into something altogether different. Take for example the track 'Music 1.0', the knotty and akimbo head of the song is played pretty much like the track on their studio recording 'Super Kaspar', but as the move into the meaty improv section, the night takes them in new directions. To my ears, Fusk's music is comparable to the classic model of free jazz laid out by Ornette Coleman - catchy, often tricky melodic lines and up-tempo tunes that will spin off in different directions, but always adhere to an internal logic. 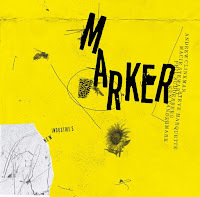 This live recording, made in Warsaw at Pardon in 2012 captures the band in excellent form. 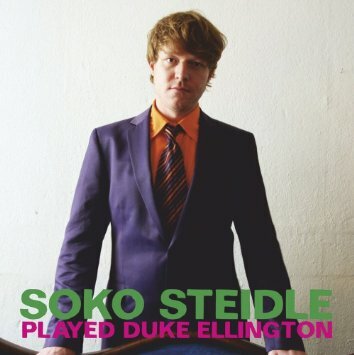 Perhaps one of Berlin's busiest drummers, Oliver Steidle's own group Soko Steidle has released several albums on Jazzwekstatt over the years. His group contains - barely - the ebullient bass clarinet work of Rudi Mahall, saxophonist Henrick Waldsdorf and bassist Jan Roder. SOKO is an acronym is German that stands for 'special command', a police investigative unit. However, Steidle's group here is not really investigating Duke Ellington's songbook that deeply - perhaps they all have indeed played Ellington before, but aside from playing with the song titles, this long-standing group is doing what it does best: playing an energetic brand of free jazz. Don't expect a big band sound or even that swinging of an approach. Here the 'Take the A Train', becomes 'Took the A-Tain' and it has certainly switched tracks. Ostensibly mashed up with the Moods - both indigo and sentimental - the whole title here is "Took the 'A' Train / Mut Indigo / In a Sentimental Mut," one will be a bit lost trying to hear the original songs, but feeling the connection is easy. With squiggly melodic lines and a constant and infectious pulse, the group simply makes great music. Mahal and Waldorf are always inventive, playing off of each other's ideas, Roder an anchor and Steidel a brilliant instigator. 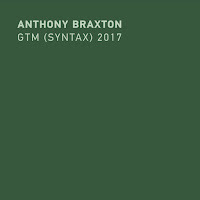 It isn't your real book's 'Take The A-Train', rather, this is a free date that highlight the deep affinity and musical conception that these players share. I first encountered the Ganelin Trio at the Jazzwerkstatt Peitz festival - at an afternoon concert in the church in the middle of the historic East German town. Skirting the edges of free improvisation and classical, for me, the trio's riveting set was the perfect introduction. 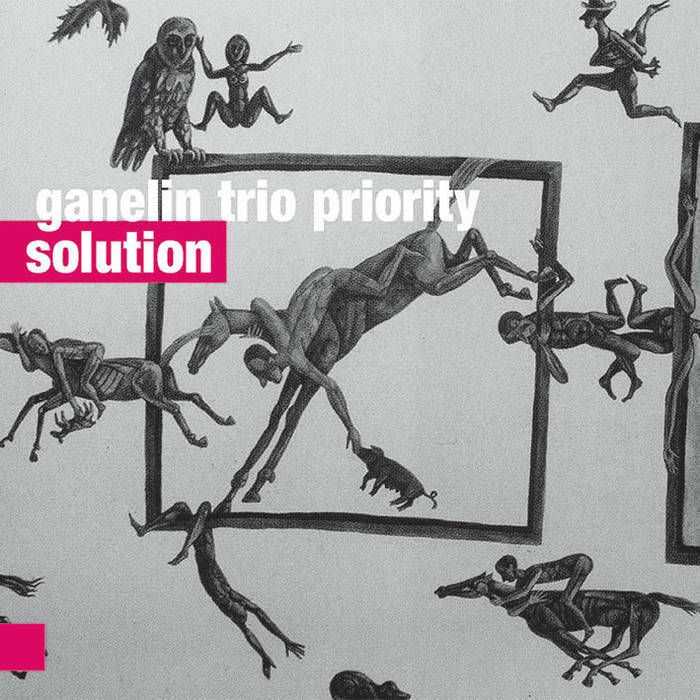 Vyacheslav Ganelin is a veteran pianist who resides in Israel and his current trio, Ganelin Trio Priority consists of Ganelin on keys, Petras Vysniauskas on saxophone, and - here's the other German connection - Klaus Kugel on drums. The trio has a big, flowing sound and the simultaneous playing of piano and synthesizer fleshes out the sound even more, with washes of texture and color filling in all the gaps. 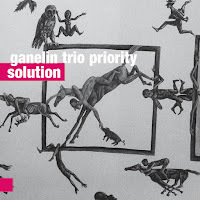 Tracks like 'Solution part 2' feature dense sections of the trio playing full at full force, augmented by electronic textures. 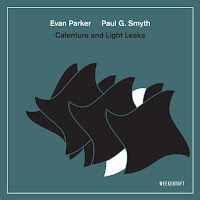 The rhythmic punctuating in part 2 contrary nicely with the legato crescendos in part 4, which is all carried nicely by Vysniauskas's melodic sax.